Locillomycins are cyclic lipononapeptides assembled by a nonlinear hexamodular NRPS and have strong antibacterial activity. In this study, we genetically engineered Bacillus velezensis FZB42 as a surrogate host for the heterologous expression of the loc gene cluster for locillomycins. The fosmid N13 containing whole loc gene cluster was screened from the B. velezensis 916 genomic library. Subsequently, a spectinomycin resistance cassette, and the cassette fused with an IPTG inducible promoter Pspac, was introduced in the fosmid N13 using λ Red recombination system, respectively. The resulting fosmids, designated N13+Spec and N13+PSSpec, were used for the transformation of B. velezensis FZB42 to obtain derivative strains FZBNPLOC and FZBPSLOC. RT-PCR and qRT-PCR results revealed the efficient heterologous expression of the loc gene cluster in both derivative strains. Particularly, there was positive correlation between the derivative FZBPSLOC strain and the enhanced production of locillomycins upon addition of the inducer IPTG with the highest production of locillomycins at 15-fold more than that of B. velezensis 916. 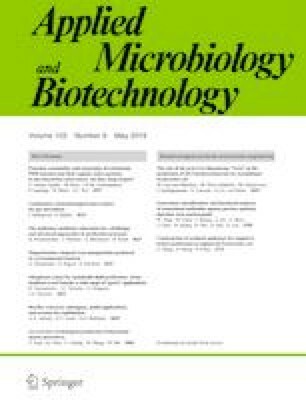 This overproduction of locillomycins was also related to the enhancement of antibacterial activity against methicillin-resistant Staphylococcus aureus, and exhibited moderate changes in its hemolytic activity. Together our findings demonstrate that the nonlinear hexamodular NRPS, encoded by the loc gene cluster from B. velezensis 916, is sufficient for the biosynthesis of cyclic lipononapeptide locillomycins in the surrogate host B. velezensis FZB42. Moreover, the FZBPSLOC strain will also be useful for further development of novel locillomycins derivatives with improved antibacterial activity. We are grateful to Professors Rainer Borriss (Institut fur Biologie, Humboldt-Universitat zu Berlin, Berlin, Germany) and Xuewen Gao (Nanjing Agricultural University, Nanjing China) for kindly bestowing us with wild-type B. velezensis FZB42 strain. We would like to thank Mr. John Truong and Dr. Xian Zhou (Western Sydney University, Sydney, Australia) for the linguistic revision and critical review of the manuscript. This study was funded by the National Natural Science Foundation of China (grant 31570061), Special Fund for Agroscientific Research in the Public Interest (201403032), Jiangsu Provincial Department of Education major project (grant 17KJA180001), Jiangsu Agricultural Independent Innovation Fund (grant CX(17)3018), and Six Talents in Jiangsu Province (grant 2016-YY-006).